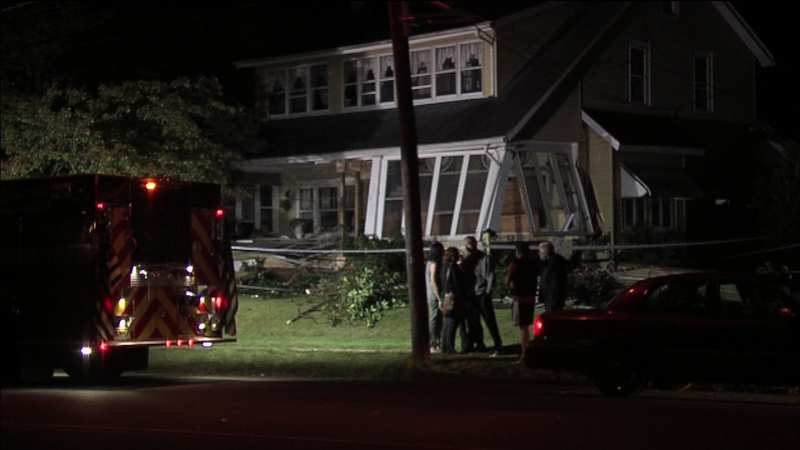 September 27, 2016: Police say a homeowner was killed after a vehicle crashed into the front of his home in the 100 block of Edinburg Road in Hamilton Township, NJ. 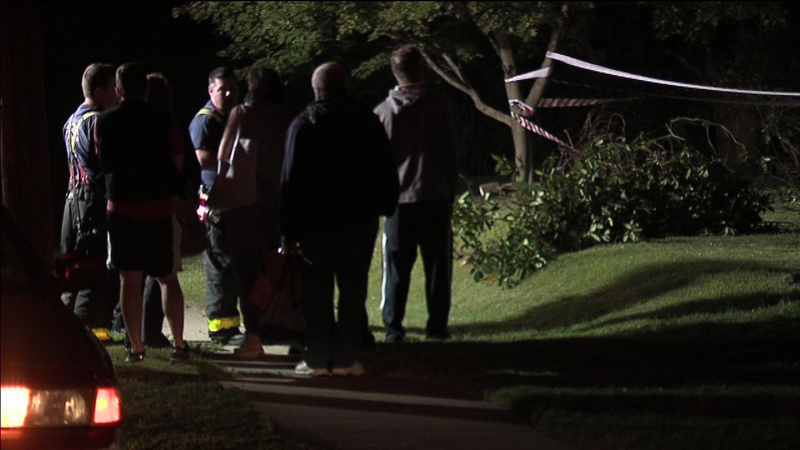 HAMILTON TWP., N.J. (WPVI) -- Family members have identified the man killed after an SUV crashed into the front of a home in Hamilton Township, New Jersey. 53-year-old Daniel Quinlan lived with his parents at the home in the 100 block of Edinburg Road where the crash happened, his sister told Action News. Police say Quinlan was taking out the trash when he was struck. "The vehicle didn't negotiate the curve and continued, hitting a mailbox then eventually the pedestrian," said Hamilton Township Police Officer David Schultz. 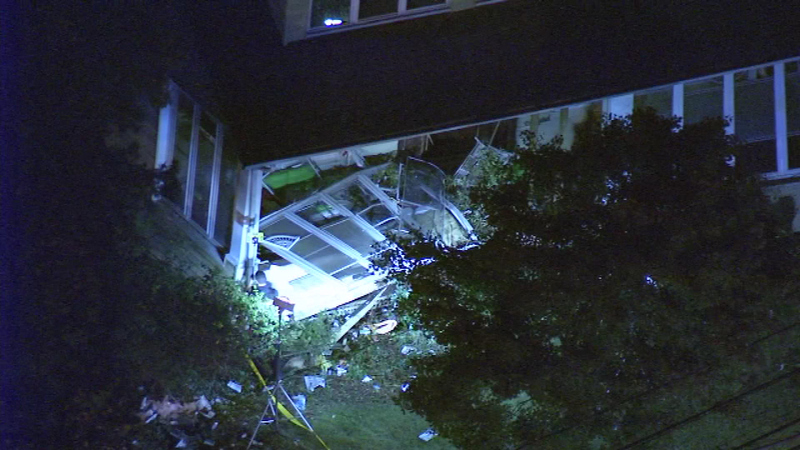 Family members have identified the man killed when an SUV slammed into a home in Hamilton Twp., NJ. 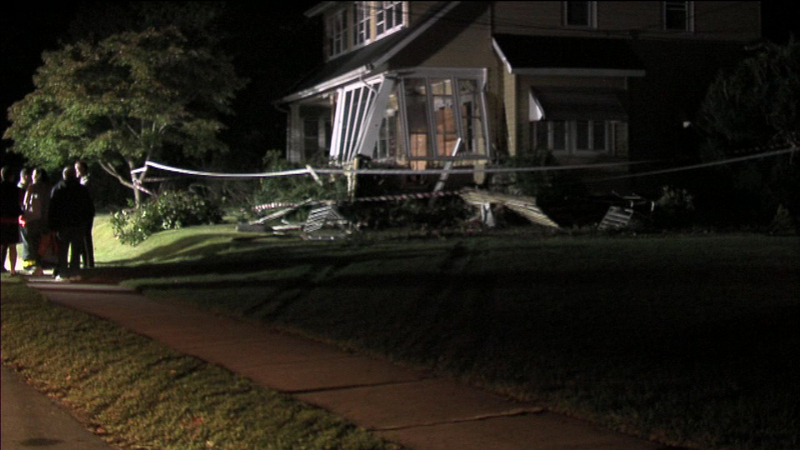 The crash happened at 7:45 p.m. Tuesday. 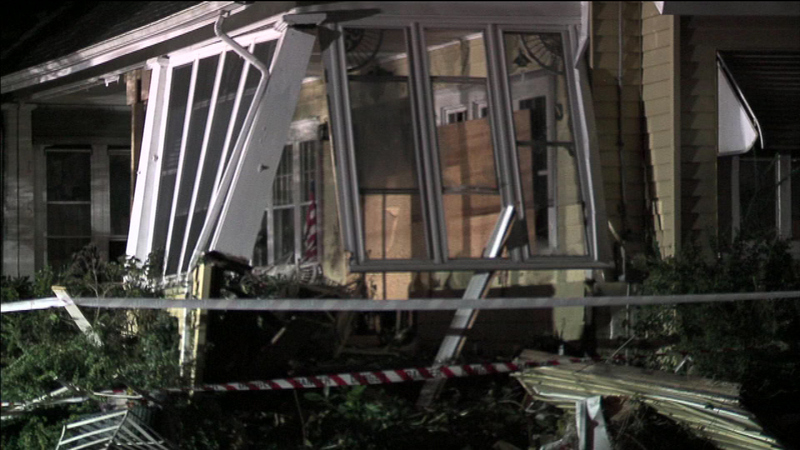 Police say the driver of a 2004 Toyota Sequoia SUV lost control, crashed into the porch and ended up in the side dining room area of the home on Edinburg Road. 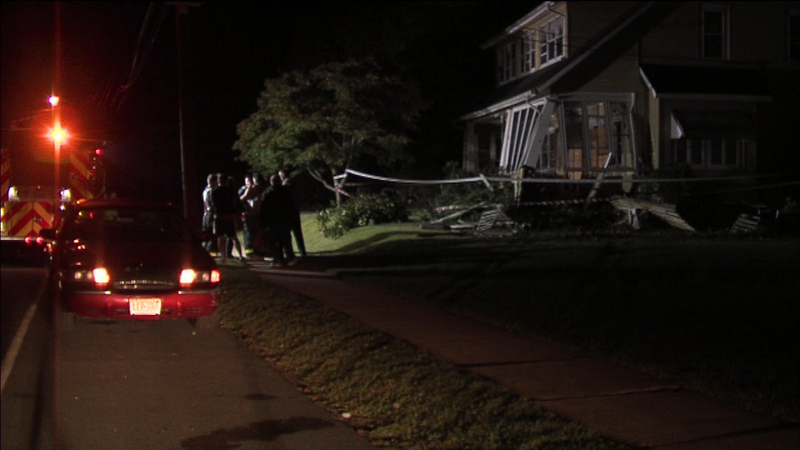 Video from Chopper 6 HD in the air and the Action Cam on the ground showed extensive damage to the left front corner of the home. 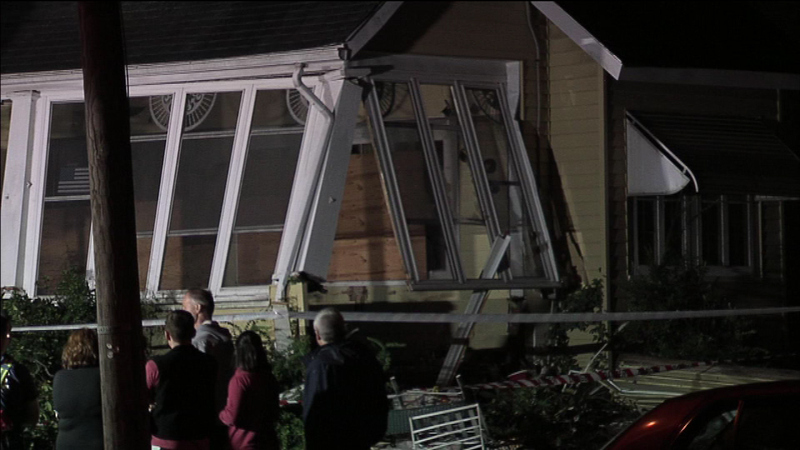 A row of windows appeared to have collapsed inward. "I go run up to the truck to shut it off," neighbor Michael Nowicki told Action News. Nowicki lives across the street and took some photos after police arrived. Before that, he ran into the scene and says the driver was dazed. "He was saying something about a baseball game, and after the baseball game he was driving and he blacked out," said Nowicki. Police say at this point they do not believe the driver, identified as 40-year-old Jeff Sgro from Lambertville, N.J., was impaired. The investigation is ongoing. 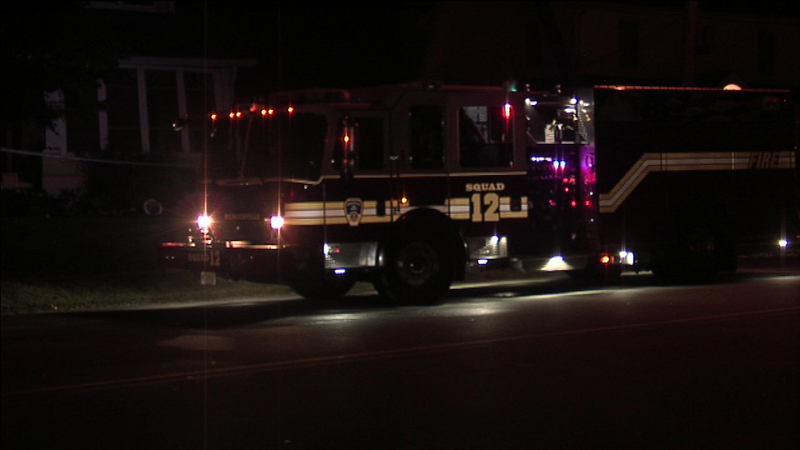 Sgro was taken to Robert Wood Johnson University Hospital and treated for minor injuries. It wasn't until after police arrived that Quinlan's parents realized he was missing. Police discovered him in the debris. He was pronounced dead at the scene. Neighbors reacted by saying the 100 block of Edinburg Road sees constant accidents from people not driving the speed limit. "How could you fly over a bush and kill someone going slow?" asked one neighbor. Police have not yet said if excessive speed was indeed a factor in this crash. As the investigation continued, witnesses were being asked to contact the Hamilton Police Traffic Unit at (609)581-4024 or leave information anonymously on the Hamilton Police Crime Tip Hotline at 609-581-4008.